We’re hoping you’ll choose to put your soul on your agenda and show up for this full-day workshop April 27th for a day of deep inner work. 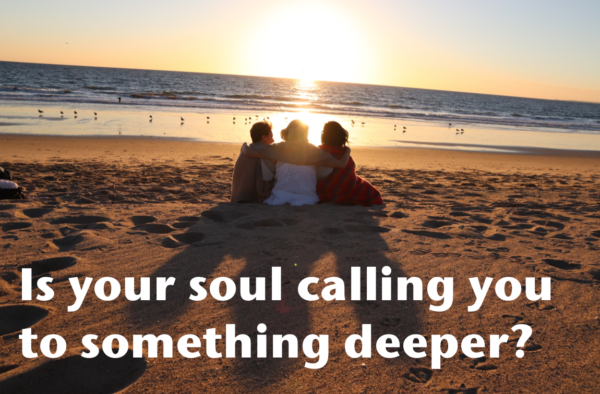 The entire agenda will be built around assisting you to go deeper within your business and personal life. 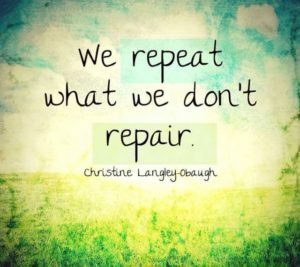 How and what that will look like will take you trusting us to create an experiential, restorative & immersive day. Will begin the day by reconnecting body, mind and soul with a guided meditation session. The daytime interactive sessions will be led by international transformational speaker Kirsty Spraggon. Discover how embracing your fears, trusting yourself to feel what you need to heal and going toe-to-toe with your most profound truths can transform your life. All while laughing, learning and stretching yourself. I’d call Kirsty’s presentation more of a revival! 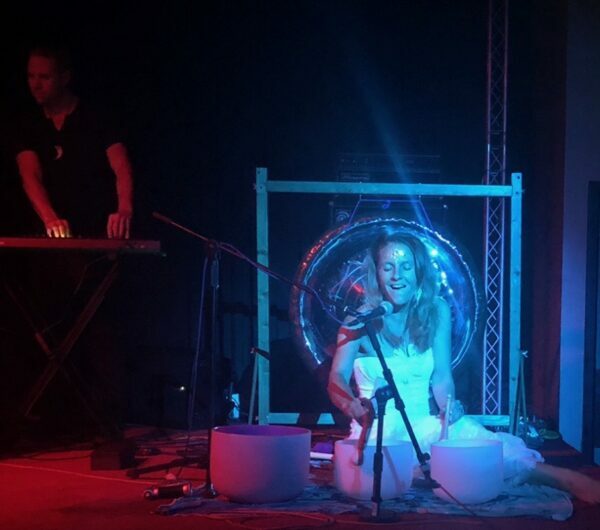 An awakening of body, mind and spirit! It was truly invaluable to the people who attended our retreat. Creative musical genius playing, Roothub. He is a master at creating music on the fly & his songs leave the listener vibrating that little bit higher. 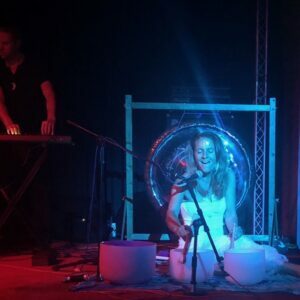 & Lucie Lynch sound healer alchemist extraordinaire who will be bringing her crystal bowls and leading us on a journey within through the powerful healing sounds of her voice and the bowls. What can you expect from this full-day experience? 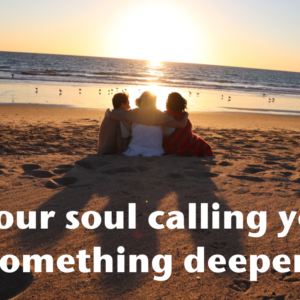 You can expect to walk away feeling more connected to your true self, to experience deep transformation and healing, to connect deeply with new friends in the room, to laugh, learn, cry and get some answers to the questions you may not even realize you have. ‘Have the courage to look deep within and trust yourself to look at what is there’. Understand your desire to heal must be greater than your fear. Release years of fear, stress and any anxieties holding you back. 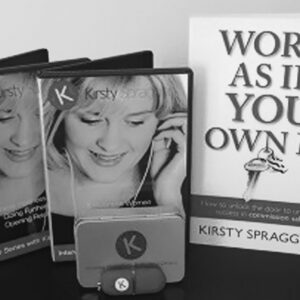 Kirsty is one of the most sought after international inspirational speakers. Her ability to share moving, thought-provoking and emotional topics with compassion, strength, and her signature Australian humor, inspires audiences to look deep within. 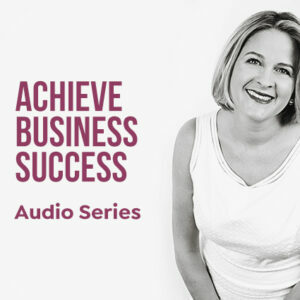 She is a truth teller, connector and a powerful storyteller with the rare ability to both move audiences and leaves them with actionable strategies that have life-changing results. So put your soul on your agenda and join us April 27th. Bring ID, notepad, pen & an open heart and mind.